The rich culture in Rajasthan is visible in each and every aspect of the state. The unique amalgamation of diverse topography, history and intriguing lifestyle is what gives Rajasthan culture its rich heritage. The colorful attires, the heavy jewellery, the palatial mansions and havelis, the diverse and joyous festivals and fairs, all are symbols of the rich and unique culture of Rajasthan. 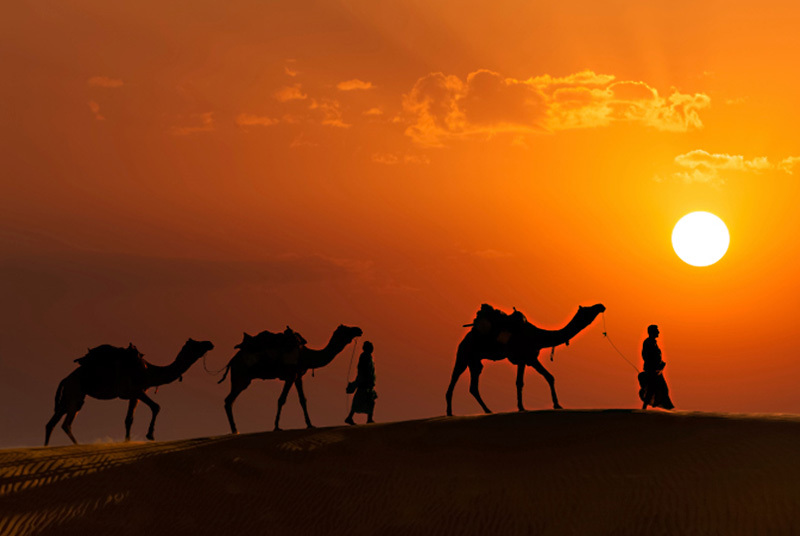 Heritage Cultural Tour of Rajasthan lets you experience the regal cultural heritage of this beautiful state. Day 01 Delhi Today on arrival traditional welcome at airport and escorted transfer to hotel for overnight stay. Early morning depart for Agra. On arrival transfer to hotel followed by visit to Taj Mahal. Overnight stay at hotel. After breakfast depart for Bharatpur. On arrival transfer to hotel. Overnight stay at hotel. Early morning visit the Bharatpur wildlife sanctuary. Afternoon depart for Jaipur. On arrival transfer to hotel. Overnight stay at hotel. After breakfast depart for full day sightseeing. Overnight stay at hotel. After breakfast morning at leisure. Afternoon depart for Bundi. Overnight stay at hotel. After breakfast depart for Kota. Overnight stay at hotel. After breakfast depart for Udaipur enroute Chittaurgarh. Overnight stay at hotel. After breakfast depart for full day city tour. Overnight stay at hotel. After breakfast morning at leisure. Afternoon depart for Kumbhalgarh. Overnight stay at hotel. After breakfast morning at leaisure. Afternoon depart for Rohet. Overnight stay at hotel. After breakfast depart for city tour. Overnight stay at hotel. Morning at leisure. Afternoon drive to Jodhpur. On arrival transfer to hotel. After breakfast depart for city tour. In the evening depart for Jaisalmer. Overnight stay at hotel. Morning at leisure. Afternoon drive to Bikaner. On arrival transfer to hotel. After breakfast depart for half-day city tour followed by drive to Mehansar. Overnight stay at hotel. After breakfast depart for half-day city tour. Afternoon depart for Neemrana. Overnight stay at hotel. After breakfast depart for half-day city tour followed by drive to Delhi. On arrival transfer to hotel. Day free for self-activities. Evening depart for International airport.